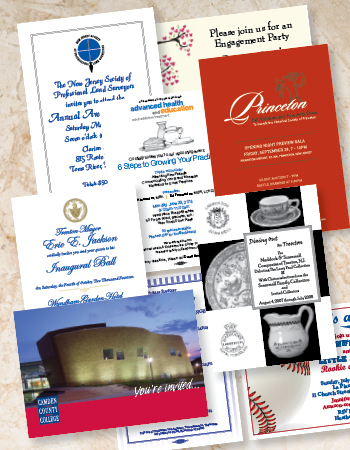 You’re invited to use Trenton Printing for all your invitation printing needs. After all, every great event needs a professional, great looking invitation. Our printshop offers invitations for any and all occasions, including: Baby Shower Invitations, Birthday Invitations, Bridal Shower Invitations, Graduation Invitations, Political Fundraiser Invitations, and more! Don't forget to order thank you cards.